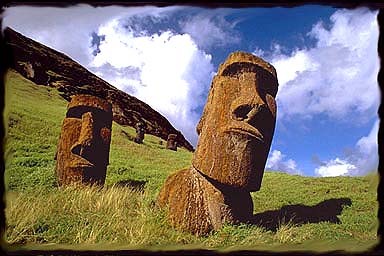 Easter Island-Rapa Nui, the world's most isolated inhabited island is also the most mysterious. Located in South Pacific 2400 miles southwest of Concepcion, Chile Easter Island has been described as the world's largest open-air museum. Important: If images are not fully loading push reload. don't know whats wrong but I'm working on it.